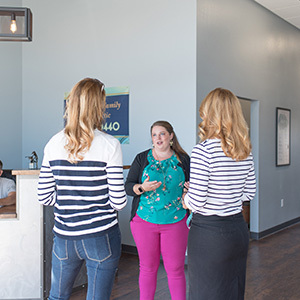 Originally from the Quad Cities, Dr. Alyssa was living in Cedar Rapids when she made a life-altering decision: to follow her passion for chiropractic care by attending Palmer College of Chiropractic in Davenport. Several hours of commuting each day did nothing to dampen her commitment, and she graduated with a Doctor of Chiropractic in February 2017. She and her husband visited Center Point, Urbana, Toddville, and Alburnett, immediately falling in love with our beautiful area. 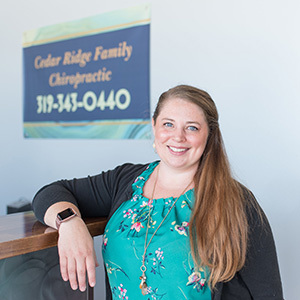 After relocating their family, Dr. Alyssa founded Cedar Ridge Family Chiropractic and is excited to serve all ages in our community. 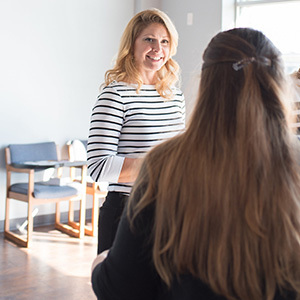 As a chiropractor, Dr. Alyssa focuses on ensuring the health of your nervous system, which is responsible for the control and coordination of every function of the body. There are numerous benefits you can experience from our natural approach to health care, such as improved immunity, enhanced mental clarity and more. With just a single adjustment, your body can get better. It has a domino effect on the rest of your life, increasing your physical and emotional capabilities. Dr. Alyssa’s husband is an Army veteran, and we’re proud to serve our active duty military, veterans and their families. Contact our chiropractic care center today to book your time!